Both familiar and new, Familiar With The Ground is the intense latest release from The Boxcars. The lead off track “Lungs,“an unlikely cover of the darkly poetic Towns Van Zandt ballad, is brought to new life by lead vocalist Keith Garrett. 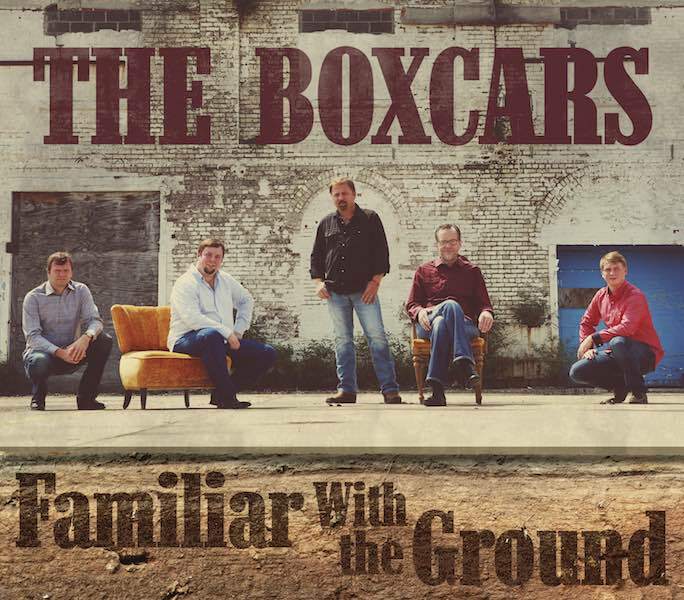 A singer’s singer, Garrett’s range and powerful tone give The Boxcars a distinctive sound that is carried throughout the album and especially shines on the title track, “Familiar With the Ground,” written by Garrett. Sharing lead vocal is eleven-time IBMA Mandolin Player of the Year, Adam Steffey, whose sorrow-drenched baritone perfectly fits the subjects of the tracks he handles; “Raised on Pain,” “Cold Hard Truth,” and the murder/outlaw themed “Marshallville.” Familiar too is the lead singing of award-winning banjo and fiddle master, Ron Stewart on his own composition, “Branchville Line.” The entire album is rounded out by the exceptional harmonies of the group.